Floral vector background with an Autumn color scheme featuring many great graphic elements like flowers, vines, splatter textures, curves, stars and cool lighting effects. 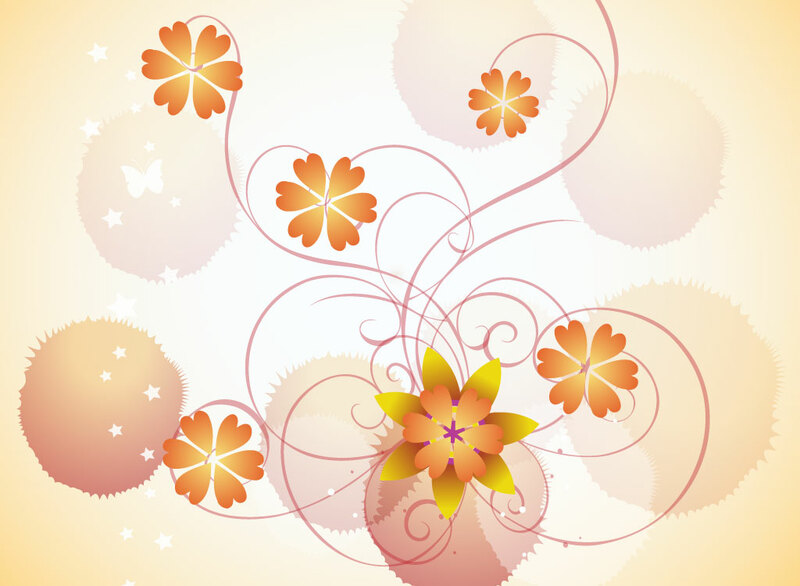 A warm setting for a greeting card, warm paper or seasonal promotion flyer, poster or brochure design. Tags: Abstract, Autumn, Backgrounds, Flowers, Plants, Radiant, Splatter, Stars.